Nice shots; I've been lazy/expedient this week, too many other games coming out so I pretty much buckeyballed my way to Polo with little photo taking. I've been uploading to my album, but I haven't had the time to post here. Lots of cool new stuff along the route since the last trip though! Thanks! 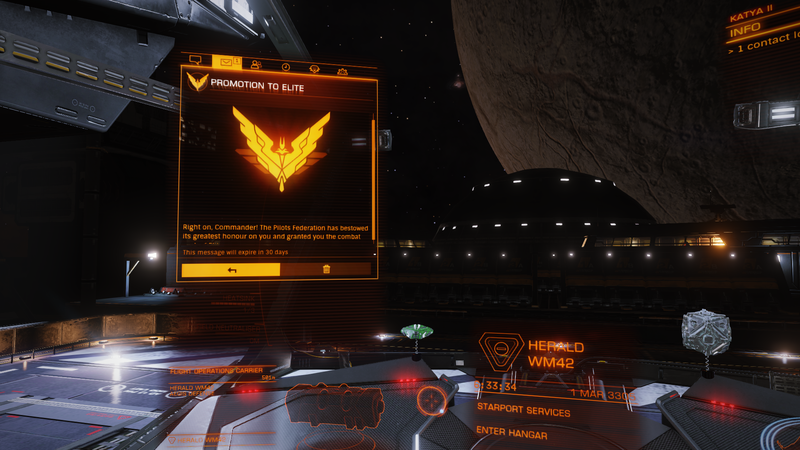 I really should thank all those countless Thargoid Scouts that made this possible. So, it appears there will be no major updates to the game until late 2020 at the earliest. Seems a bit weird to me. Player counts are higher than they have ever been. Seems very strange to squander that momentum. Rumor mill has been having a field day with both the recent community posting and Zac’s earlier one; specifically the possibly carefully chosen wording. The 2020 thing is believed to be the ‘next era of Elite’ that was green lit mid to late last year. There’s a growing belief that it’s a rewrite/whole new version, targeting the next console generation and replacing the backend/network tech to be less peer-to-peer focused. If that does turn out to be the case, most of the dev team’s efforts are likely and necessarily focused on that. Yeah, it sounds like a rewrite. Of course, the entire community (or at least the vocal parts of it) are clamoring for space legs and atmospheric landings, so anything other than that is a crushing disappointment to them. And we have come across a previously undiscovered Earthlike world. We are holding a contest for the best name for it. Please leave your suggestions in the basket on the observation deck. Watch out at the next one, the station is in very low orbit of a non-landable ELW, not much room for error. I've just started up ED (base game, solo) for the first time, logged 21 hours which includes eating dinner and being out for walks. I'm just in here to look around, and have a current goal of getting into Sol and seeing Earth. I've flown a Sidewinder, an Adder and am currently flying an Cobra Mk III for trade. If I keep having fun I'll buy Horizons at the next sale or something. 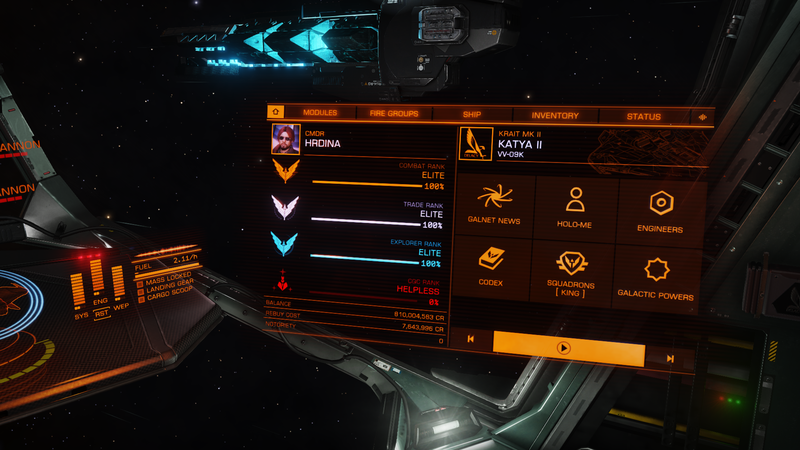 Not planning on doing much combat (have run away from pirates already), and PvP is right out. 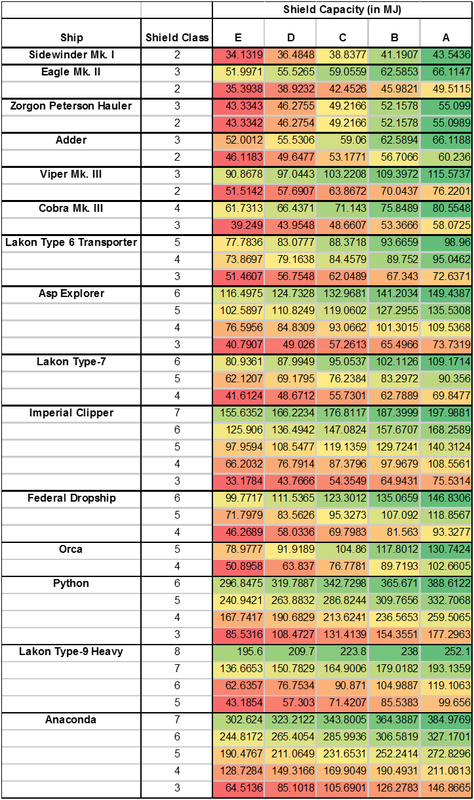 Thanks for the resources at the front page; I've used it to source some goods for missions and discovering which ship to buy for an affordable but small 40+ cargo ship. See you around some time later, maybe. Welcome Commander! See you in the Black, and fly Dangerously. and the faction is again in expansion state, so the tally might increase by one more. Cool stuff! I would blame the recent background simulation update for the sudden change, except the dates don't jive... The expansion occurred in Feb before the change. 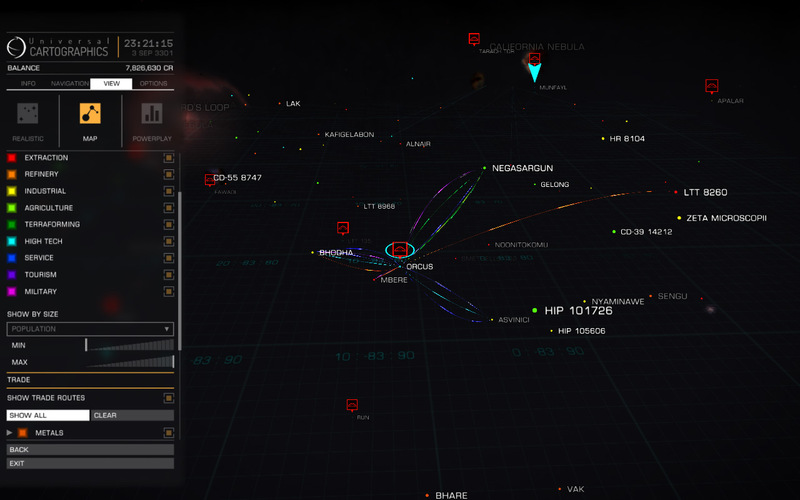 Have finally made it to Explorer's Anchorage; the new station at the core of the Galaxy and the start of the Third Bubble. 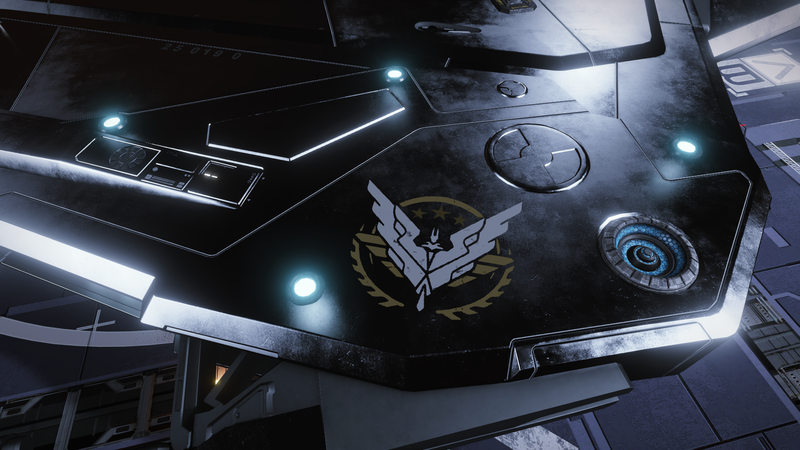 I noticed the "Join another ship" multicrew command has an entry specific to Distant Worlds 2. There were no ships available to join when I tried, but am I supposed to do this from within "Open" game mode or do I have to already be a member of some private group for this to work? You have to be in the same group and someone has to have opened their ship for it. Are you on Veloxi yet? Yes, but I thought the chances of that working were slim, so I tried Open. Wouldn't most DW2 players play in Open? Or are they in a super secret DW2 group? 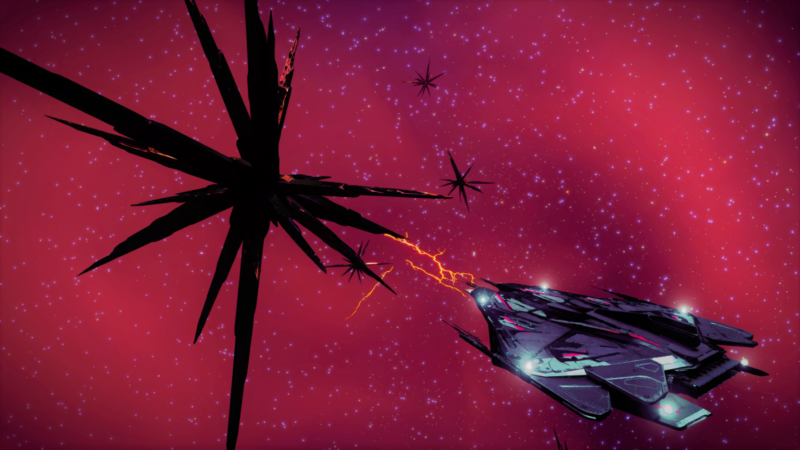 No, although folks like the SDC would like you to think all the unarmed explorers are floating around in Open, most of the DW2 activities are taking place in private groups, such as Fleetcomm or Moebius, or personal/squadron private groups. Risk vs reward of being in Open in a lightly armed, lightly shielded ship just doesn't make sense. most of the DW2 activities are taking place in private groups, such as Fleetcomm or Moebius, or personal/squadron private groups. That's what I suspected. 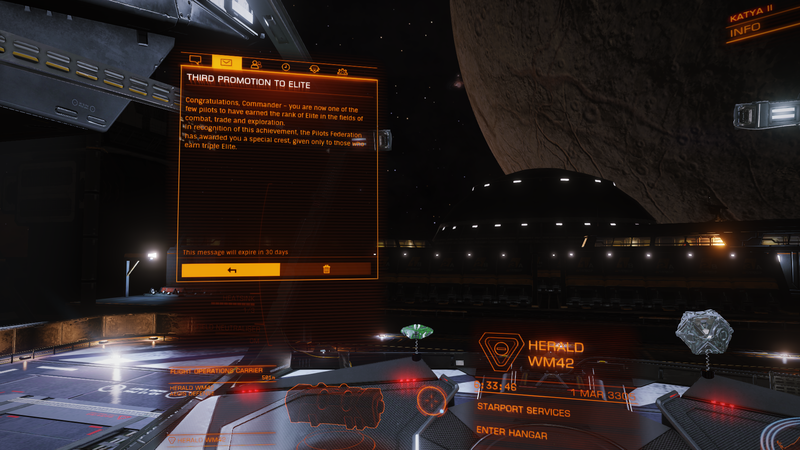 So it sounds like this multicrew DW2 command I found has little chance of ever connecting me just randomly to a live player. If you see me on, ping me. I'm usually in Veloxi anyway unless I'm taking part in some fleet event. I'll start setting my invite on. In memoriam - a few seconds after this shot, the sky caught fire as a blazing arc leaped from the nearby storm, to the crystal, and melted the Scion of Witchspace's valiant heart. Sleep well Scion, your 40,000 light years of service will not be forgotten. Ouch. It's a pretty photo though! Good to know that I should avoid getting close to those, though. I'm guessing you only had to restart back at Explorer's Anchorage though?